Modern innovations have resulted in a fast-paced transformation in the mode of operation among business enterprises. Currently, the enterprises face stiff competition for the market share. The competition represents the essence of adopting new technologies so as to eliminate manual procedures in which organizations are involved. The adoption of new technologies has resulted in enterprise computing that is perceived as one of the most effective technological advancements. This paper investigates various concepts related to enterprise computing. Keywords: enterprise computing, technology, network, cloud, architecture, database. Morgan (2007) acknowledges that information technology has undergone a rapid growth with new ideas developed every day to enhance its efficiency. Currently, everyone depends on technology to perform various essential tasks. Technology has become an essential part of individual work and business enterprises. Companies and other enterprises have to shift from manual operations to the use of automatic systems so as to make their processes faster and more effective. Organizations that adopt the use of modern technology benefit by observing the significant reduction in their production time. They can have several tasks accomplished within a short period of time so as to satisfy their customers’ needs. The enterprises also benefit from the linear number of workforce required for their daily operations. Enterprise computing is one of the significant technologies that have largely revolutionized organizational operations. Many enterprises have invested in the technology as the basis upon which they establish their development. The technology helps business enterprises ensure proper coordination of their activities so as to satisfy their customer needs. It is applied by big and small companies alike. It helps small companies to expand their scale of production so as to compete favorably for the market share with their competitors. Morgan (2007) defines enterprise computing as software or a hardware environment that is characterized by the use of computers in LANs and WANs or some interconnected networks that involve several interconnected systems, protocols and network architectures. The interconnected systems are used to host enterprises’ information technology data center infrastructures. The computers that are used in the system of enterprise computing help solve complicated problems that require a high degree of reliability, availability, performance and security. As such, enterprise computing helps organizations in carrying out large volumes of transactions that require a high level of efficiency and reliability. It is a business based information technology that is essential to the company’s operations. It entails a wide range of enterprise software like database management and relationship management among others. 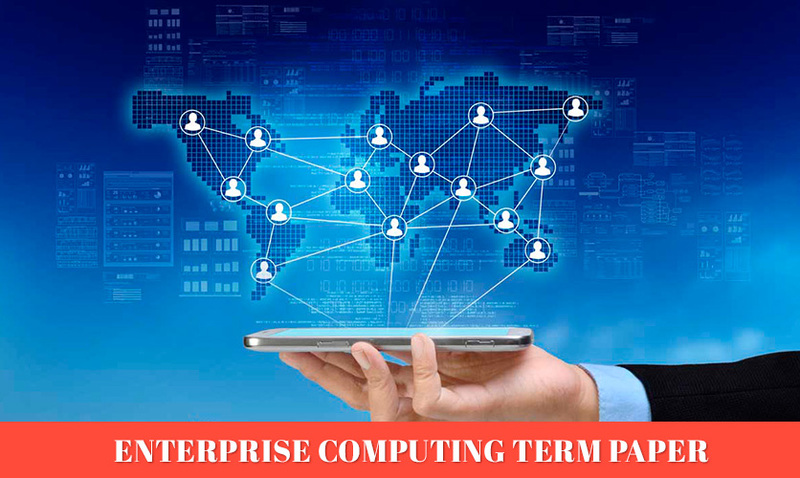 Basically, enterprise computing refers to a series of large business software that are used to offer solutions to regular problems like resource management and coordinate business activities within an organization. In some situations, enterprise computing can be sold to business users as an entire platform to be used for broad operations across an organization. At a later stage, the users can decide to customize it to meet their needs in particular areas. After customization, the analytics, reporting, database management and other applications maintain their uniformity to the whole system as application packages that are used and the data accessed in every area are different. Its application can be done broadly in any department within an organization. Further, its customization to specific areas by users is possible. It shows that there can be the standardization of its application across the system, whether in reporting or at any other stage. However, there is variation in the packages being applied and the data being used. As such, enterprise computing is a shift from the application of one software solution to every business problem. In this case, it is used to offer a general solution to all problems (Hinchcliffe, 2008). Hinchcliffe (2008) defines cloud computing as a form of computing with the use of large groups of remote servers that are networked to give room to centralized data storage and online accessibility of computer services. Clouds are available in three various types; private, hybrid and public. Organizations are slowly shifting from the trend of having to establish several data centers made up of an unlimited series of hardware and software due to the innovation of cloud computing. The changes will take time to reach the peak but they are likely to transform traditional IT opportunities to the 3rd party service on the network. A number of concerns have been raised in relation to the innovations of cloud computing. The technology has been lauded for having the ability to cut operational costs while driving innovation. Due to the identified features of cloud computing, it is seen as a perfect solution to the challenges encountered by organizations in their attempt to lower the cost of information technology as they offer innovative solutions to improve their business operations. The technology is highly appreciated for its ability to help business enterprises to lower their operational costs while remaining competent enough to face competition for the market share. It enables business enterprises to invest in new ideas to be able to offer satisfactory services to their customers. This helps the organizations to remain relevant in the market despite the stiff competition that is realized in the current business environment (Hinchcliffe, 2008). There are a number of aspects that enable cloud computing to be regarded as an effective solution to enterprises’ computing acquisition, operations, and governance. The technology helps enterprises ensure the reduction in their capital expenditures. The application of cloud computing results in a reduced upfront cost as the onus of the first computing infrastructure investments are catered for by the cloud computing provider. Economies of scale also help lower ongoing costs. Cloud computing has a lower entry barrier as there is no need to acquire, install and provide hardware and software. When using cloud computing, all needs and resources can be acquired on-demand. Cloud computing is also popular for its multi-tenancy, security, scalability and performance among other essential features. It is a technology of choice to business enterprises that seek to expand their market scope (Hinchcliffe, 2008). Morgan (2007) observed that database experts are currently facing difficulties in deciding on the available options for the architecture to use in addressing diverse needs of their clients. To distinguish database architecture, one can look at the distribution of application logic throughout the system. The application logic is made up of presentation logic, processing logic and storage logic. Each of the three logics has a distinct role. To identify the type of architecture and the subtype being dealt with, one can look at the tier in which the components are processed. One-tier architecture is used in a situation when a program that is run on a user’s local machine references a file that is located on the machine’s hard drive. In this situation, the program uses one physical resource for accessing and processing information. File-saver architecture is another example of one-tier architecture. This is where a workgroup database is stored in the shared location and in one machine. This allows data sharing by different users while processing occurs on a single local machine. One-tier architecture is also used in mainframe computing where highly connected intelligent terminals are provided by a single machine. It makes it possible to access, view and manipulate data. This type of architecture is effective when handling the small amount of data that concerns a single user. Current computer users are mainly familiar with the two-tier architecture. In this network, users interact through a Graphical User Interface (GUI) by communicating through the database server across a network using Structured Query Language (SQL). In this architecture, there are two configurations; namely, a thin-client configuration and a fat-client configuration. This type of architecture is also present in web-based database applications. The architecture is effective when serving a small number of users of the system and when the level of scalability is high. Another type of architecture is n-tier architecture. This architecture exists in a three-tier configuration. The architecture allows expanding the client/server model to incorporate the middle tier. Enterprises use information security architectures as a constituent of their architecture to facilitate appropriate information security in the enterprise. The architecture involves the application of an extensive procedure in describing the present and future structure for the security process of an organization, information security, workforce and sub-units of an organization. All the security processes are aligned with an organization’s strategic orientation and main goals. The security architecture is mainly associated with the security practice of business optimization. Financial institutions are popularly known to apply the security architecture. The architecture is created with an aim of confirming that the IT security and business strategy are aligned. Therefore, it facilitates traceability that starts from the strategy applied by a business down to the applied technology. Mahmood and Hill (2011) define an enterprise network as the communication basis that is used for connecting computers using other related devices. 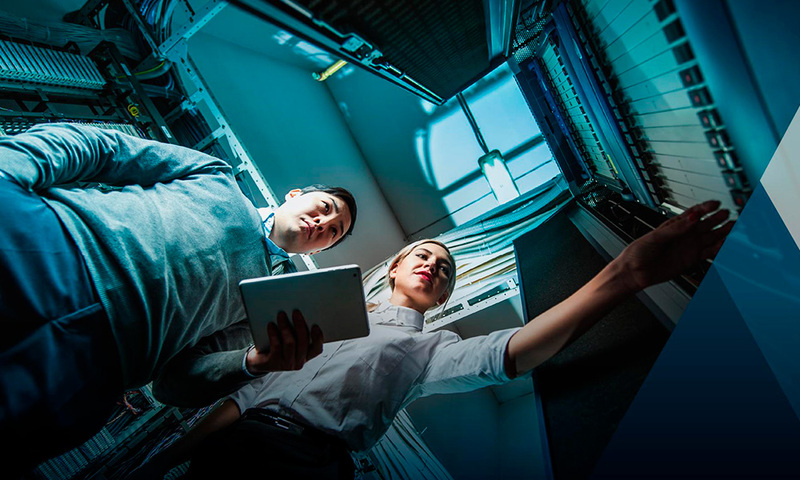 The connection can be accomplished across different departments and the workgroup networks so as to cater for effective insight and data accessibility. The network helps lower the number of communication protocols, and also improve the system and device interdependence and functioning. It also helps boost the level of internal and external data management of an enterprise. The main function that is performed by a network is to limit isolated users and workgroups. It ensures that all systems can communicate, avail and retrieve information. Enterprise networks include local and wide area networks (LAN and WAN). The choice of a network is based on the departmental and functional requirements. However, the network used within an organization is capable of combining all systems like Unix System, Apple and Windows among others (Mahmood & Hill, 2011). Oppenheimer (2011), states that this method is commonly used for designing networks in situations where the main focus is on the business needs. The concept of top-down network design can be applied in many other areas besides its use in network design. The method of network design involves analyzing a company’s needs at a high level. When using it, one starts the process by collecting information about the company’s requirements and conducting a needs analysis. He/she then uses the information obtained to come up with a design depending on the high-level functional needs. The method of network design is undertaken in various phases. One of the phases entails carrying out analysis of the goals and threats of an organization. Another phase is analyzing objectives or tradeoffs. Finally, the available internetwork and network traffic are characterized (Cisco Systems, 2007). When designing a network, one of the most significant aspects that need to be taken into consideration is conducting a proper review of the prevailing business goals and limitations. It has to be done to limit the need for changes in the course of the project that can have devastating implications on the project schedule and resources. It is essential to get a full picture of a business enterprise when conducting a review of the same. This stage of the project should provide an opportunity for calculating the scope of the project (Cisco Systems, 2007). The phase also provides an opportunity to obtain a vast understanding of an enterprise’s current network applications that will be required in future. The information is vital as it helps in future design process based on business and technical points of view. It is also vital to analyze the business constraints in this phase. The constraints include various components of network design that must be properly completed. Designing a network for an enterprise is a complex process that is made simpler by top-down network designing. This type of designing makes the process easier as it breaks it down into smaller parts. Cisco Systems. (2007). Top-down approach to network design. Hinchcliffe, D. (2008). Enterprise cloud computing gathers steam. Retrieved 10th December 2014. Mahmood, Z., & Hill, R. (2011). Cloud computing for enterprise architectures. New York, NY: Springer-Verlag. Morgan, B. (2007). An overview of common database architectures. Oppenheimer, P. (2011). Top-down network design. Indianapolis, IN: Cisco Press.